University of Hawaiʻi at Mānoa men's volleyball team earned the top seed in the 2019 NCAA Men's Volleyball Championship and defeated Long Beach State University. 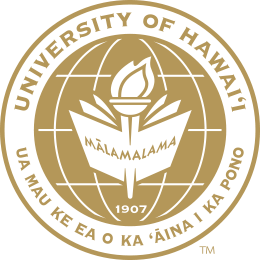 The University of Hawaiʻiat Mānoa will recognize its finest faculty, staff and students at the 2019 Mānoa Awards Ceremony on April 4. Children with autism have made great strides since participating in the swim program. Nobel Laureate Arthur B. McDonald sees that the work done with the faculty at UH Mānoa leads the world on a number of fronts. The project used “metabarcoding,” a technique in which all of the DNA in a water sample is analyzed in one step with DNA sequencing.